Though gold in Elder Scrolls Online is not as important as it is in some other MMORPGs, it still enables you to get your characters stronger. Upgrading your equipment to legendary quality and purchasing legendary enchants can be quite expensive, not to mention the hundreds of thousands of gold you’ll spend on upgrading inventory space and purchasing mounts. 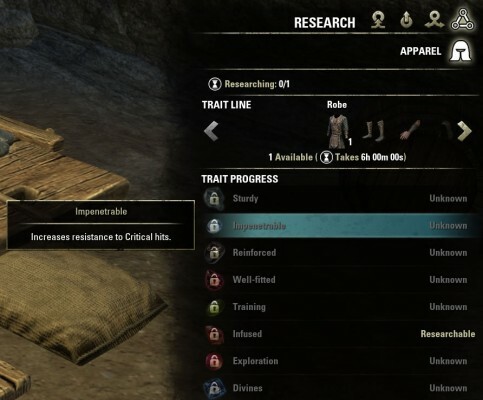 The beginner’s guide to making gold in ESO below is written by a redditor named thri11co11ector and will surely be helpful to anyone looking to earn some quick gold in this game, or at least not waste as much! Gold saved is gold earned. Don’t repair items! Once you are VR it makes a little more sense but from level 1-50 it is petty much a waste of gold. Wear green or blue items you find and when they are broken sell or deconstruct them. If you are OCD like me and can’t stand your character looking like crap then make your own matching armor sets every two levels or so and just decon/sell everything you come across. If you hate crafting, wear your favorite costume so you don’t have to look like the village idiot while being frugal. Don’t pay to fast travel to wayshrines. Run or ride to the nearest one and then you can fast travel between them for free. You can also fast travel to friends and guildmembers for free. (If in a group you can fast travel to a group member as well) Just go to the respective group, contact or guild menu and right click the players name. Deconstruct everything you pick up until your desired crafting skills reach level 50. Then at that point, I would sell all white and green items you pick up, (with the exception being if they are part of a dropped set) deconstruct blue and undesirable purple items and sell good purple and dropped set items in your guild store. Don’t bother trying to sell jewelry in the guild store unless it is purple, gold or part of a dropped set. There is just too much jewelry out there for sale to make an easy profit, IMO. The best provisioning ingredients come from hirelings (tomatoes, oats, red wheat etc…) and provisioning is super easy to level up. All in all, I think provisioning is better as a craft for the food and drink then to try and sell the raw ingredients. With the justice system and provisioning updates though a lot could change about the way we collect ingredients and make food so we’ll just have to see. If one of your crafts is provisioning like me, I personally hoard ALL ingredients and once I am stocked up I do a huge bake off and make a crap load of food. I use my best food for myself, sell the level 50+ foods that people actually pay for and vendor the rest to NPC. 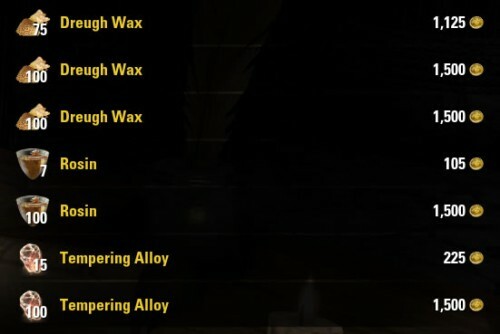 I make a good amount of gold this way. Buy bag upgrades. I know it seems counter-productive at first to spend so much on bag space but once you have them you can make more gold, and quicker so it is a worthy investment. You can sell stacks of mats but they go for as cheap as 900g a stack in my experience and I like to spend my gold grinding time elsewhere personally. Invest in the Soul Lock passive in the Soul Magic skill line. With 2 points in this passive you will have a 10% chance to trap a soul when killing an enemy with a weapon. Full, Grand Soul Gems are worth a ton and with the removal of forward camps from PvP they will most likely continue to be. We recommend you also take a look at these 5 easy way to make gold in ESO. They are really beginner-friendly and will make you gold guaranteed. We hope you found this guide helpful, and if you want to learn more about Elder Scrolls Online be sure to let us know and we’ll publish even more helpful guides!